Adorable…love the black/grey/yellows this season… and surprising choice for shoes- which i love btw. Thanks a lot ! I’m glad that you’ve noticed the gloriously pink shoes because they really surprised me too ! As for the exquisite pattern, it really looks like a cubist collage ! Good thing indeed ! Thank you for this interesting fact about Francis Picabia’s wife ! It’s funny that you mention the zipper because I’ve magnified the picture to see where it stopped (it’s very hard to tell actually, because the pattern seems to cover it !). I couldn’t find a picture of the shoe heel though … Have a gorgeous weekend ! Merci beaucoup ! PS : I’ve always loved dandies ! love that dress! 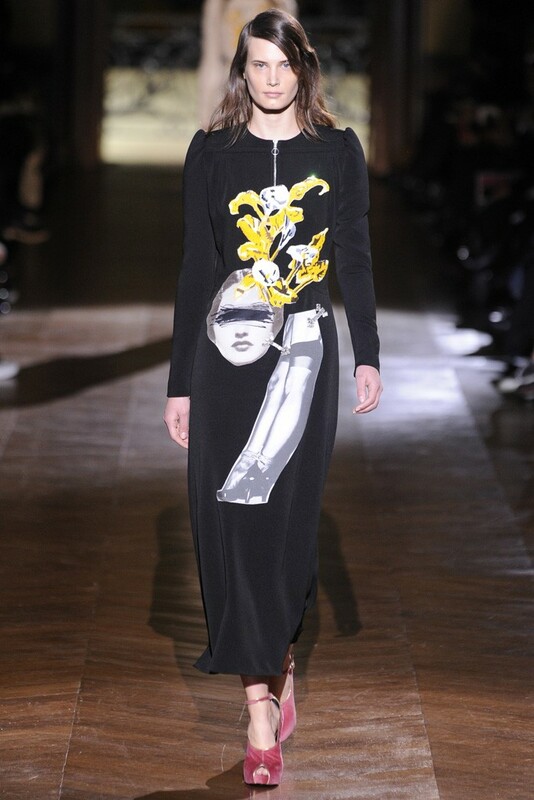 And Carven’s collection was great, too! such a cool dress. besides the gorgeous graphic design, we love that it has a more comfortable and accessible silhouette!